What’s Behind Li Ka-shing’s Billion Dollar Sale in Hong Kong? Business tycoon Li Ka-shing sold his Hong Kong skyscraper to a mysterious financial institution with ties to the mainland. 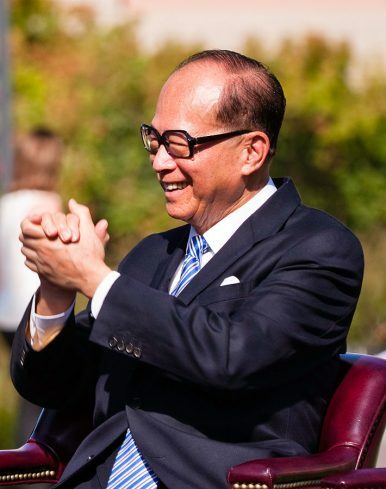 Li Ka-shing, 89, one of the richest men in Hong Kong and a legendary figure in the Asian business world, has sold one of his most important properties in Hong Kong. On November 1, Li’s CK Asset Holdings Ltd. announced that it has agreed to sell its stake in Hong Kong’s landmark skyscraper, The Center, for 40.2 billion Hong Kong dollars ($5.2 billion). The buyer is CHMT (China, Hong Kong, Macau, and Taiwan) Peaceful Development Asia Property Ltd., a British Virgin Islands-incorporated vehicle set up specifically for the purchase. The transaction will set the record as the largest deal in the world for a single building, according to a financial firm’s analysis. The Center, located the central business district of Hong Kong, has been regarded as one of Li’s signature properties in Hong Kong. But starting in early 2016, there were rumors that Li had been looking for potential purchasers. The final purchaser, CHMT, appears to have a complicated and mysterious background. According to The Wall Street Journal, CHMT is mainly owned by a Hong Kong unit of China Energy Reserve and Chemicals Group (CERCG), which controls about 55 percent of shares. CERCG describes itself as a private conglomerate based in Beijing that specializes in natural gas, oil, and related chemical products. But The Wall Street Journal found that 15 percent of the conglomerate belongs to China Hualian International Trade Co., which is actually owned by the International Department of the Central Committee of the Chinese Communist Party (CCP) — the department that oversees the Party’s overseas affairs. An executive of CERCG confirmed its relationship with Hualian to The Wall Street Journal but declined to comment on the link to the CCP and the Party’s involvement in the property deal. “The price isn’t high,” he added. According to a Chinese website’s report, the background of CERCG’s president, Chen Yihe, is even more mysterious. Chen, 54, started his career as a civil servant in the local government in Inner Mongolia and transferred to the state-owned enterprise, PetroChina, in the 2000s as a business leader. Now, he is the president or executive of multiple private companies specializing in the oil and gas industry. He also holds multiple self-proclaimed titles such as “deputy director of the National Energy Leading Group Office,” but no public official documents can verify such positions. No matter what CERCG’s as well as its president’s background really is, one thing is for sure: the specific transaction must have been approved or even supported by the Chinese government, because the mainland Chinese enterprises involved were able to accumulate such a large amount of capital despite tightening restrictions on overseas investments set by Beijing since August.